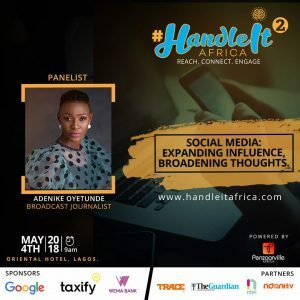 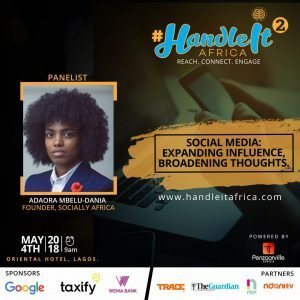 The second edition of the Handle It Africa Conference, a platform birthed to share insightful knowledge on maximizing the benefits of social media, is scheduled to hold on 4th May, 2018 at the Oriental Hotel, Victoria Island, Lagos. 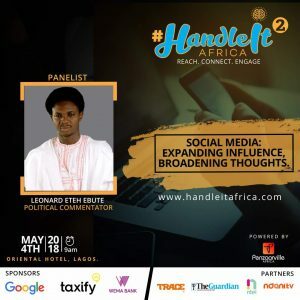 Themed Social Media: Expanding Influence, Broadening Thoughts, the conference will feature exciting panel sessions designed to enlighten participants on the effective use of social media. 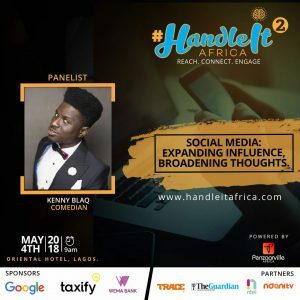 The sessions will feature speakers who have successfully built strong personal and corporate brands by leveraging on the power of social media. 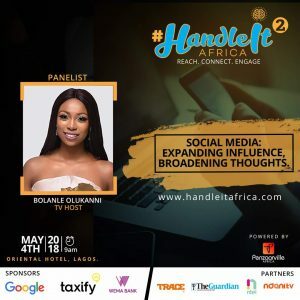 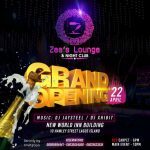 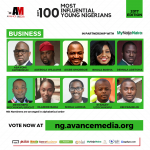 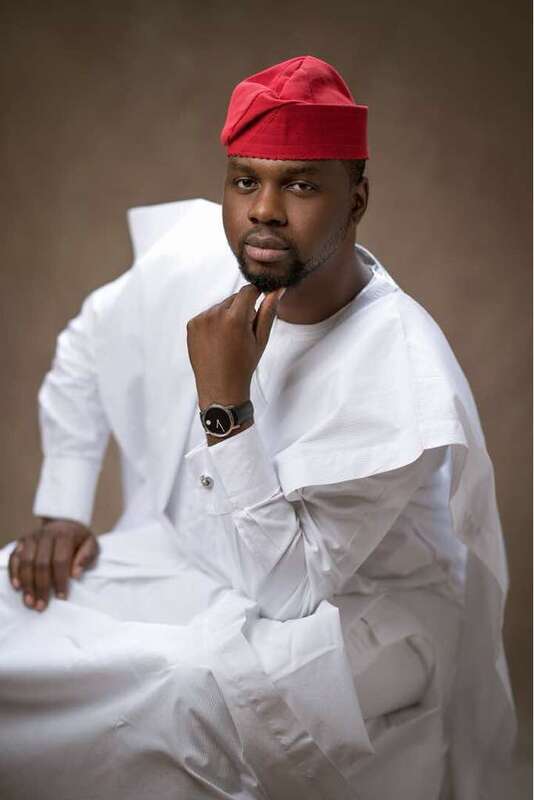 The speakers include Adebola Williams, Co-Founder of RED; Toyosi Akerele-Ogunsiji, Founder /CEO of RISE NETWORKS; Bolanle Olukanni, TV Presenter and Red Carpet Host; Adenike Oyetunde, Radio Personality; Bukunyi Olateru-Olagbegi, Chairman, Modern Democratic Party; Comedians, Kenny Blaq and Lasisi Elenu, amongst others. 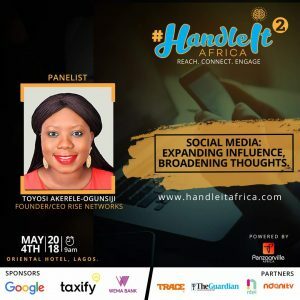 The conference will give participants the opportunity to meet, network, and collaborate with young, upwardly mobile individuals who are leading the charge and creating impact in diverse sectors. 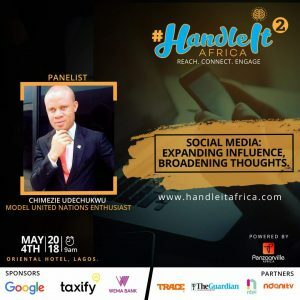 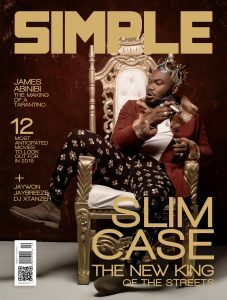 Handle It Africa is pioneered by Olufemi Oguntamu of Penzaarville Africa. 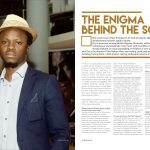 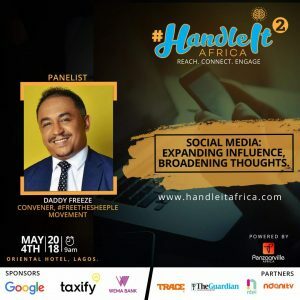 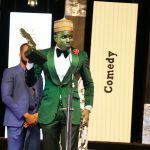 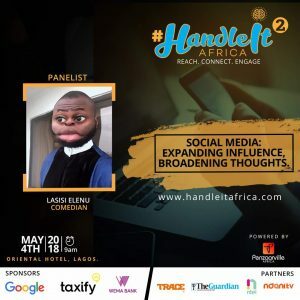 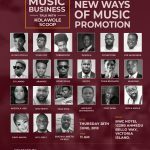 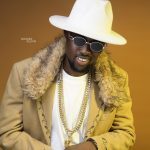 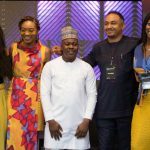 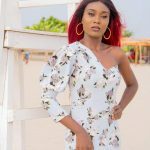 ADEBOLA WILLIAMS, TOYIN ABRAHAM, DADDY FREEZE, KENNY BLAQ, LASIS ELEN SPEAK AT HANDLE IT AFRICA SOCIAL MEDIA CONFERENCE 2.